You’re invited to celebrate all things design and decor related at SOCO and The OC Mix’s Design Open House Event on Sunday, May 18 from 11am-4pm. Come explore over 20 design and home decor showrooms – including Brown Jordan’s first to-the-public location, the largest Design Within Reach showroom in the world, PIRCH, Environment, Shade Store, and much, much more! On Sunday May 18, these showrooms and others will open their doors and offer special displays, gift with purchase, complimentary mimosas, and trend presentations. Even non-design retailers, restaurants and eateries will be participating with special offers! If you’re in the market to remodel your home, looking for the perfect pillow, or just need to feel inspired – SOCO is your destination for design inspiration. 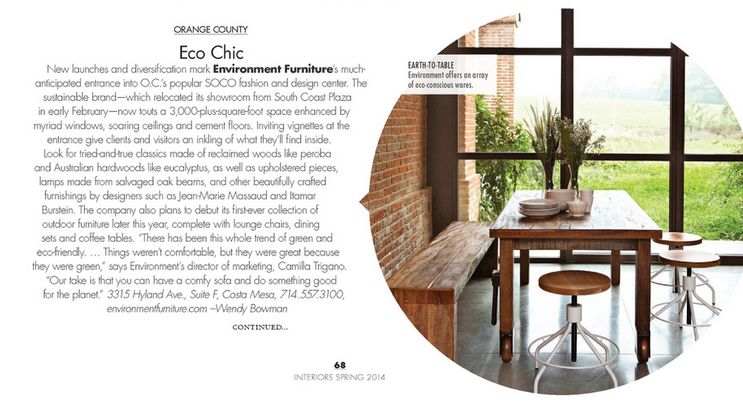 The Orange County design community feted the arrival of Environment Furniture to the South Coast Collection. 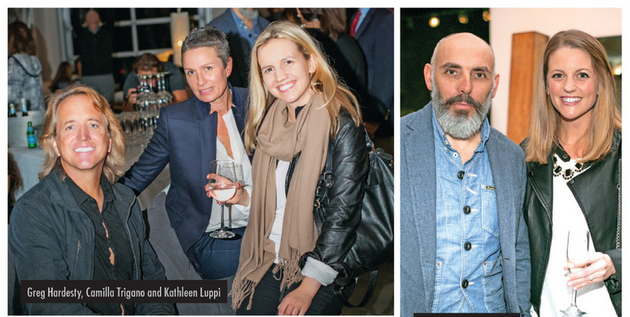 Inside the sprawling new space, guests sipped prosecco while browsing the brand’s eco-conscious offerings. New launches and diversification mark Environment Furniture’s much-anticipated entrance into O.C.’s popular SOCO fashion and design center. 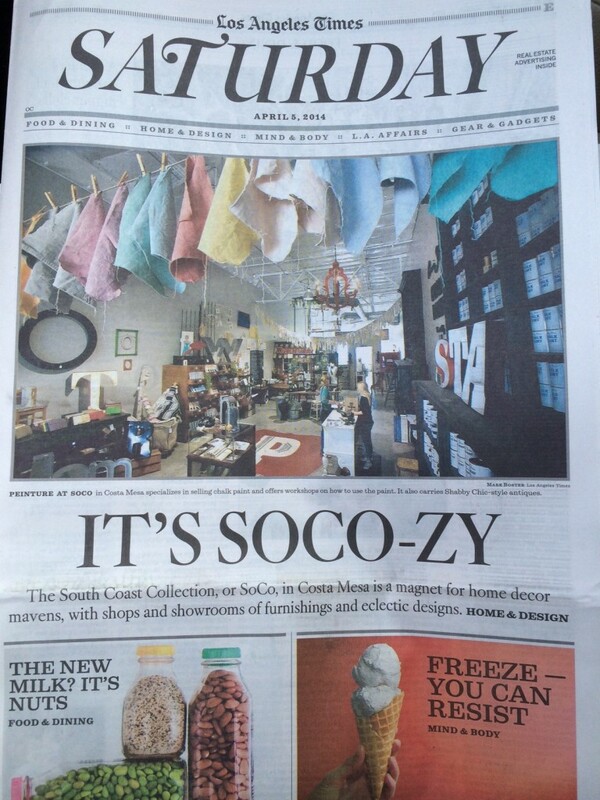 L.A. Times, April 2014 | Home decor stores multiplying at South Coast Collection in O.C. 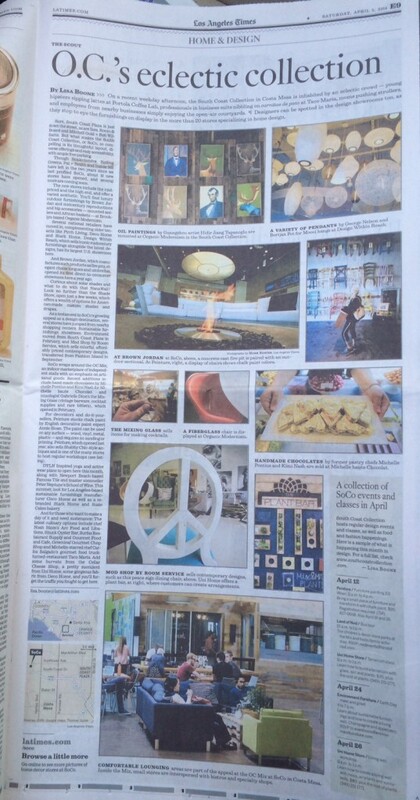 From Los Angeles Times, Home decor stores multiplying at South Coast Collection in O.C. 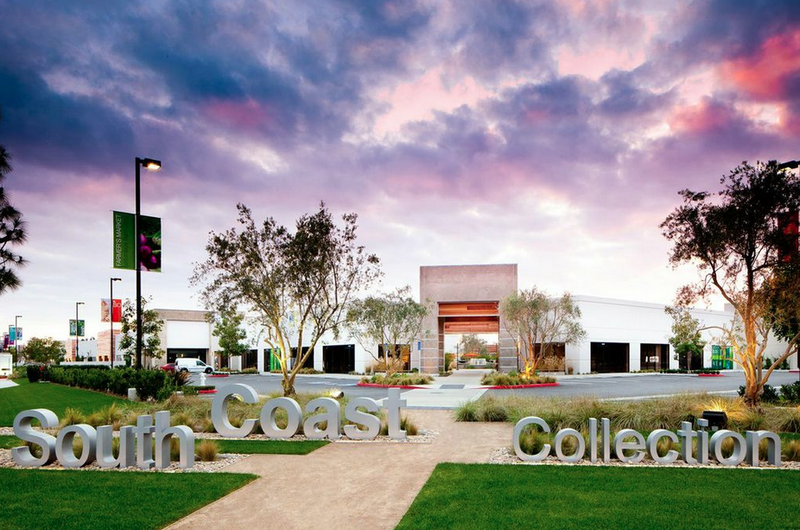 On a recent weekday afternoon, the South Coast Collection in Costa Mesa is inhabited by an eclectic crowd — young hipsters sipping lattes at Portola Coffee Lab, professionals in business suits nibbling on carnitas de pato at Taco Maria, moms pushing strollers, and employees from nearby businesses simply enjoying the open-air courtyards. Designers can be spotted in the design showrooms too, as they stop to eye the furnishings on display in the more than 20 stores specializing in home design. 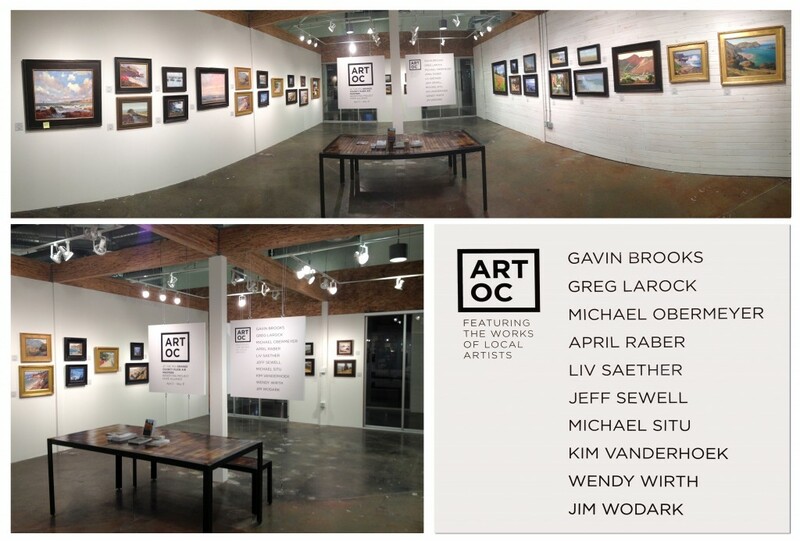 SOCO and The OC Mix have announced “Art OC @TheMix” a pop-up gallery series celebrating some of the finest artists in Orange County. Art OC @TheMix aims to introduce the SOCO and OC Mix community to Orange County’s established and emerging community of artists. The pop-up gallery series will focus on such genres as landscape, figure, still life, water color and much more. Art OC @TheMix will encourage guests to explore abstract, cultural, sculpture and other art mediums. In addition to the gallery, each series will feature lectures, live painting, demonstrations and other community events centered around the featured pop-up series. The goal of the rotating art series is to introduce a wide variety of OC artists to the SOCO community, and give people a chance to meet these artists, share their passion for art, and add to their own art collection. In addition, a percentage of proceeds will go to a featured charity – starting with Project Hope Alliance for the first series. A charity that strives to end homelessness in Orange County. You’re invited to the first ART OC pop-up gallery, which will focus on Orange County’s Plein Air Masters. The paintings will highlight landscape – both of the coastlines and rural areas. Visitors will be able to view and purchase art at the pop up gallery from April 5, 2014 thru May 31, 2014. Interested in possibly being featured in the next Art OC within the next six months? Please fill out this form, and we may contact you!